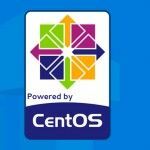 This time we will take a look on how we can set up vsFTPd FTP server on CentOS 7. FTP will be useful for every organization and services, for example to manage your website or use it like a downloadable data storage for clients. After that let`s configure vsftpd. The important thing is that Anonymous login is enabled by default. We recommend you to disable it using anonymous_enable=NO, this will help you to make your FTP server more secure. local_umask=022 Install 022 mask. This will make us sure that all 644 files and 755 folders we are downloading has the rights we need. This will be enough to run your FTP server. To get an extended info about current parameters — use man (man vsftpd.conf). Now we need to configure IPTABLES and add rules for FTP.